Located right near the Manly ferry wharf, Belgian Waffle Cafe Manly is in a perfect location, catering to those of us who need a bit of a caffeine hit before heading on a 30-minute ferry ride back to the city. 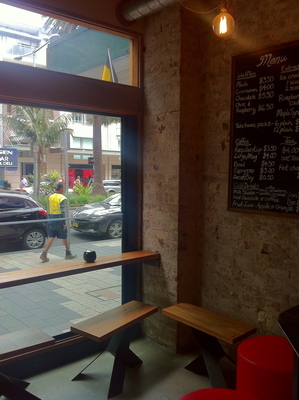 Then again, this cafe was originally in Manly wharf, yet shipped a little closer to the beach to make way for the renovations going on at the ferry wharf at the time. This is one little cafe exuding a farm like ambience, however it is missing its hay. The ambience is nothing to fuss about, however their tasty hot waffles and hot chocolates are worth raving on about. 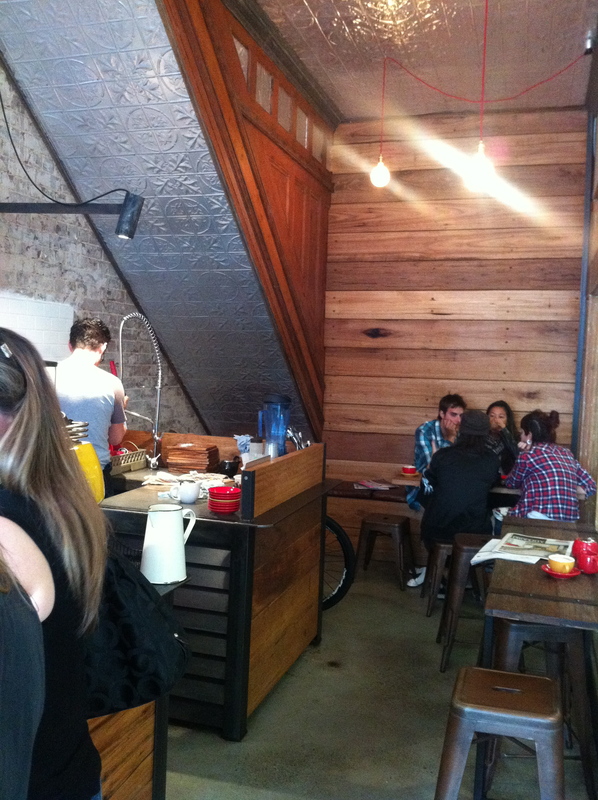 The space is small, yet people are doing the very best they can to enjoy a little treat in a small space. Given any type of weather situation, this little Belgian waffle cafe is busy. My friends mainly come here for coffee, however as it was a cold, windy day I felt like a hot chocolate in the drinks department to warm my insides up. This decision paid off, as this sweet, tasty cocoa concoction warmed up those goosebumps sitting outside on a Manly ferry from Circular Quay, despite wearing a scarf. The latter of which is unusual for Spring in Sydney to begin with. If you're eating in, you're given a table number with a Belgian flag that goes well with their brightly coloured coffee machine. I initially sat opposite the glass window on a chair that was level to the table. Not the most comfortable cafe dining situation, however the time had come to change tables towards something more elevated and comfortable. The hot chocolate ($4) was clearly money well spent. 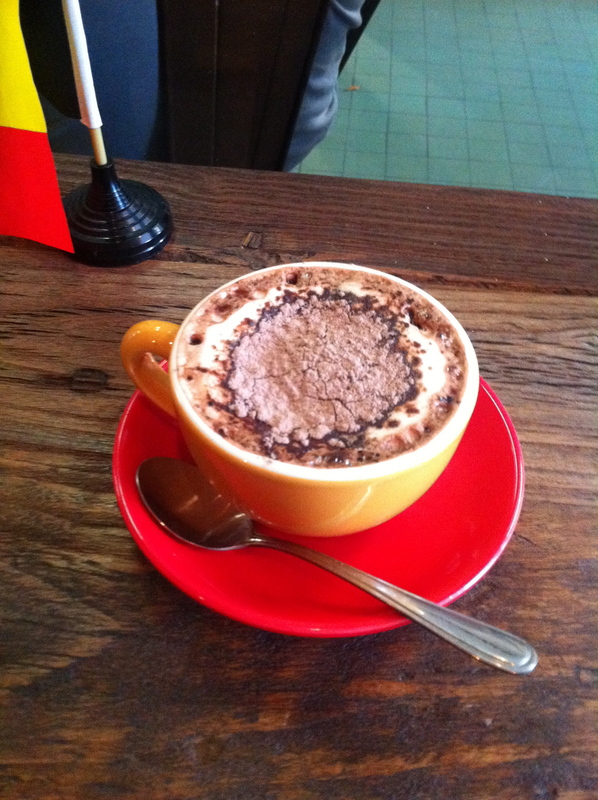 It was cleverly served in a cup and saucer representing the colours of Belgium, minus the black. I have tasted better hot chocolates elsewhere, however this is the best hot chocolate in this area. A great comfort drink, and it wasn't too milky. with the right amount of chocolate served at the right temperature. 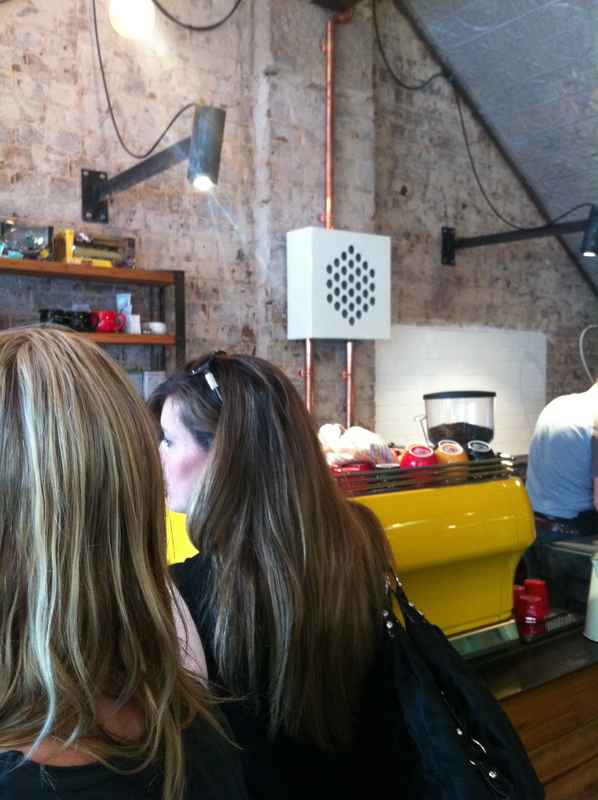 You can see why this cafe is busy, and alas on a cold, windy day in Manly too. 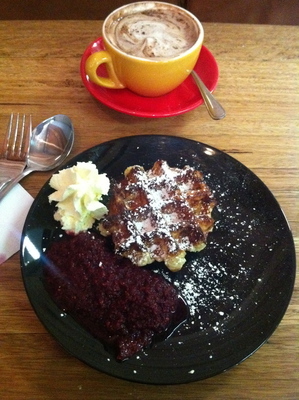 The plain waffle with raspberry coulis ($4) was rather comforting, however the hot chocolate clearly won the day. The raspberry coulis was great in the beginning, yet somehow spoilt the plain waffle that came with the right dollop of cream. Next time it will make more sense to actually go for two waffles instead of one. Maybe the serving sizes could be a little more generous, yet watching them being handmade feels like you're a kid in a candy store all over again. 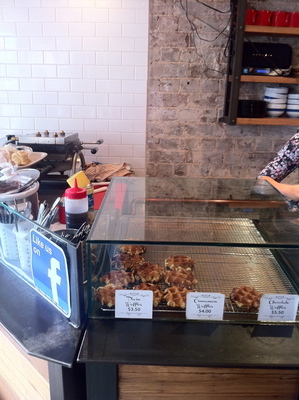 By the time I enjoyed my waffle, I only just got comfortable on the enjoyment factor. Maybe it takes two to tango after all. Too much raspberry coulis leaves a sour aftertaste sensation - see two to tango, and the raspberry coulis serving would not have been overkill if I had gone for the magic number two on the waffles. 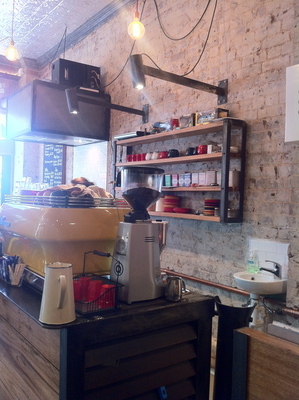 Not the type of cafe you will want to hang around at for too long. A great take away coffee and hot chocolate pit stop, especially when you're on your way to catch the ferry back to the city. Otherwise eat here and move on. Why? There is so much beauty to Manly beyond your Belgian waffle pit stop. A great pre-beach snack attack either way. 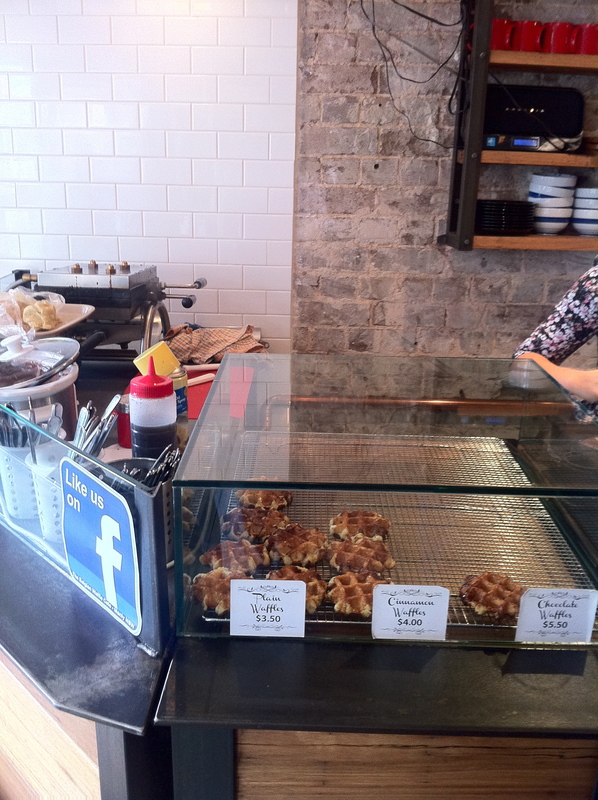 I like the sound of them making your waffle right in front of you! I love Belgian waffles, but I don't think I could imagine having them with anything other than chocolate sauce and vanilla ice cream. 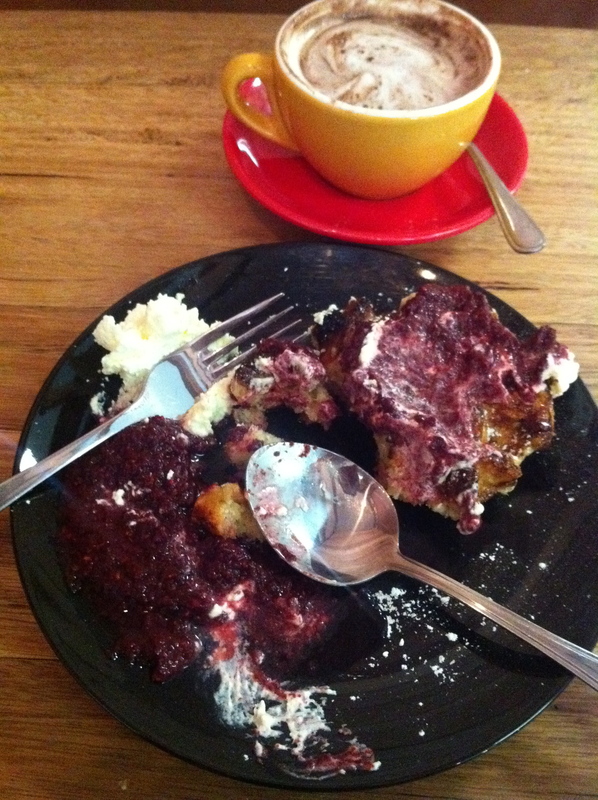 Somehow a healthy raspberry cooly just doesn't fit the indulgence bill.